Bobby Long | Do You Hear The Music? We are 49 days away from Bonnaroo!! 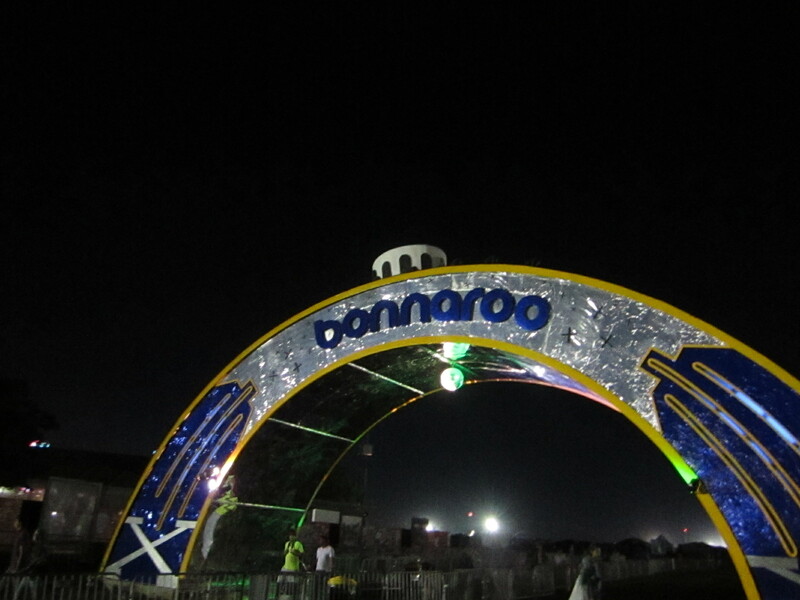 Since I’m claiming it as a holiday, here are 49 Reasons to look forward to Bonnaroo June 9-12. 42. Getting a chance to see The Band of Heathens live! 19. Have you ever seen Ray LaMontagne live? Of course there are a whole lot more than 49 reasons to look forward to Bonnaroo so feel free to drop yours in the comment section below. 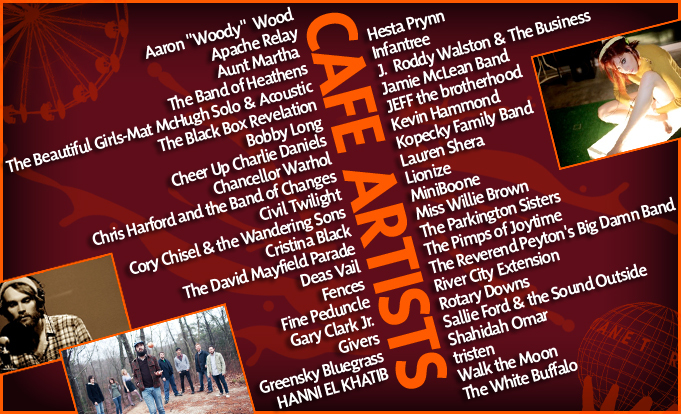 Bonnaroo announced today the Cafe Artists. Stoked to see bands like GIVERS, Bobby Long, The Pimps of Joytime, JEFF the brotherhood and more among the list. 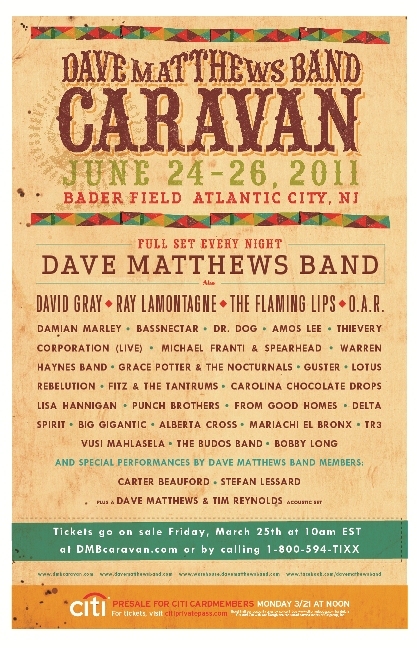 So the June 24-26 Dave Matthews Band Caravan line-up for Bader Field in Atlantic City was just released and all I can say is, SICK as in what a group of artists as I start day dreaming about how great these three days will be. Tickets go on sale for Warehouse members March 14 and to the public on March 25. Check out the below for all the artists. I don’t know who to be most excited about, such an amazing group of musicians. What I do know is From Good Homes will be playing at the festival, love seeing the Jersey rockers on the bill as they just reunited in recent years after a decade hiatus. Well back from Denver and I already miss that place. What an incredible city that really has everything to offer. Every time I visit I find more reasons to love the city. To say Mile High Music Festival was a success is an understatement, it was just about as good as it gets. Spread over 24 fields, it was definitely music euphoria with three stages, two tents and a “beach” to bounce back and forth to. AEG did a really great job laying out the festival and making everything easily accessible and a fun time for all. Enough small talk, here are some highlights of Day 1. More notes from Day 1: Beta Beach was bumping great house music all day and provided a good place to cool off in the water playground; in Coors Country and Budweiser was the beer sponsor? ; Whole Foods was easily the best vendor at MHMF with cheap (yes, really) food and drinks and an amazing deal on SIGG water bottles and Honest Tea refills for $1; Justin’s Almond Butter and Hazelnut Spread are amazing; TicketHorse is the future of purchasing concert tickets.